The Milwaukee HD28 AG Heavy-Duty Angle Grinder is a powerful 28 Volt cordless tool, with a fast cutting speed at 9,000 rpm has the same capability and performance of a corded tool. 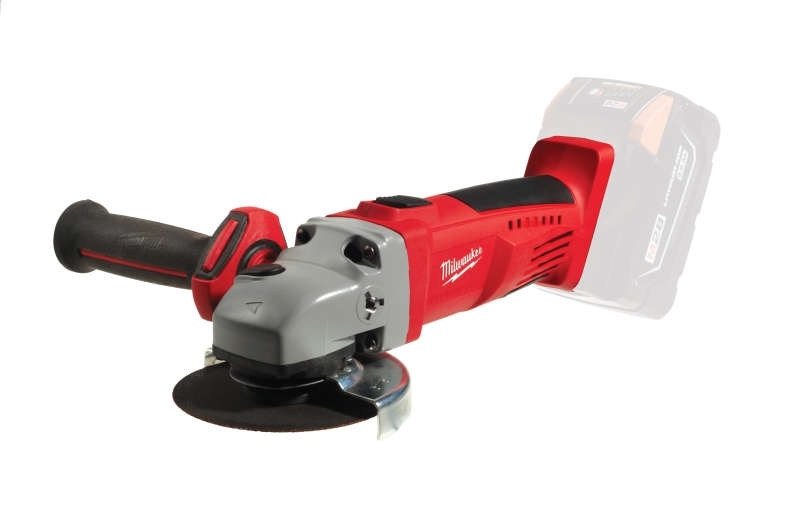 It features digital power management, meaning the battery, motor and switch are protected from any abusive overloading.The angle grinder has a patented FIXTEC nut allowing fast and easy wheel change. A burst-resistant and tool-free safety guard provides excellent user protection and fast adjustment. An 3 position AVS (anti-vibration) ensures more comfortable work and less strain to the user. It features a lock on switch but also a battery-lock-out function which prevents the tool from starting unintentionally. Note: This tool is supplied as a body only version - batteries and charger are sold separately. This tool is compatible with the Milwaukee M28 Red Lithium-Ion range of batteries.